Are you passionate about the environment and enjoy engaging with people? The Events Programming Team work nationally across the Woodland Trust to deliver mass audience events which raise brand awareness of the Woodland Trust. 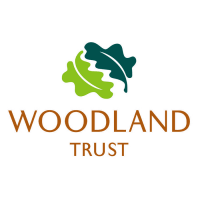 The aim is to engage and inspire those audiences about the aims and work of the Woodland Trust and to encourage them to get involved and support our cause. The Events Programming Team work nationally across the Woodland Trust to deliver mass audience events which raise brand awareness of the Woodland Trust. The aim is to engage and inspire those audiences about the aims and work of the Woodland Trust and to encourage them to get involved and support our cause. As an Event Volunteer you will have the opportunity to utilise your communication and people skills to volunteer alongside the staff at the event to engage with large audiences and support our delivery of events. Please only apply if you are interested in volunteering at one or more of the above locations. Please click here for further details on this role and to apply.